TVS should be prepared for a rough ride as Bajaj Dominar, Mahindra Mojo, Royal Enfield Classic 350 and many others are stepping on the gas for a slice of this category. Having edged past Hero in the mass-market scooter segment, TVS Motor Company is turning its attention to premium bikes. As it gets ready to launch the Akula in partnership with BMW, the company says it is keen to ride up the category ladder while retaining its hold on the budget segment. 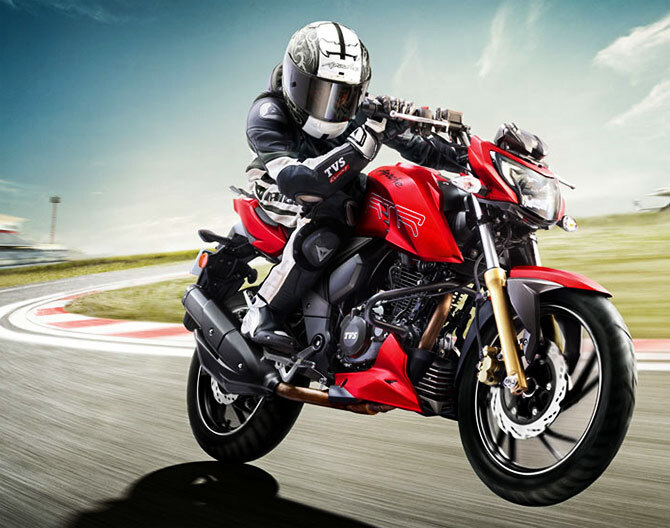 At present TVS has the Apache range of bikes. It plans to launch Akula before the end of the year to add muscle to its premium portfolio. TVS should be prepared for a rough ride as Bajaj Dominar, Mahindra Mojo, Royal Enfield Classic 350 and many others are stepping on the gas for a slice of this category. The bike company says it has focused quite intensely on its marketing over the past two years with a single-minded goal to push up market shares. The result is visible in the volumes, especially in the premium segment (less than 200cc segment, up 600 bps YoY) and the scooter segment (up 270 bps YoY) for H1FY18. The company’s overall market share stood at 14.5 per cent at the end of the previous financial year and in the medium term it is targeting 18 per cent. The company has lined up Rs 600 crore for expansion, product development and marketing. TVS Motor CEO, K N Radhakrishnan and Advisor S G Murali have both said that all TVS models have outperformed industry growth. 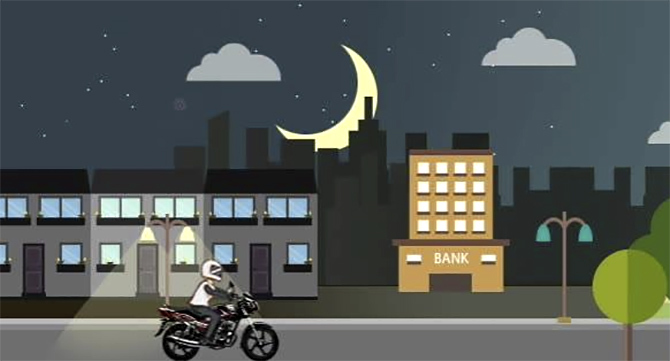 The premium motorcycle industry has grown by 41 per cent this fiscal. According to Crisil, around 23 per cent of the motorcycles sold in the country today are in the premium category that is estimated at Rs 2,500 crores. TVS saw market shares in the premium segment surge to 23 per cent in April-September 2017, up from 17 per cent for the same period the previous year. “We have gained five per cent in the premium market, that is kind of target we are looking at,” said Radhakrishnan. IMAGE: TVS Motor unveiled the Akula 310 which is based on the BMW G 310 R. This concept also won the best concept for two-wheelers at the Auto Expo 2016, New Delhi. Photograph: Rajesh Karkera/Rediff.com. “We are constantly seeking to offer technologically superior and stylish experience to our customers,” says Aniruddha Haldar, vice-president, marketing, of the commuter motorcycles, scooters and corporate brand, TVS Motor. But how would the company differentiate its brand from the rest when all profess to offer the same? The company says that it will continue to talk up quality and talk to its customers more often. It will also try and understand the customer better. TVS says that in premium motorcycles, Apache RTR 160 is on top and Apache RTR 180 is in the top 3. In economy motorcycles (all motorcycles less than 125cc), TVS StaR City+ is on top and TVS Sport and TVS Victor 110 are in the top 5. The push to premium is being largely driven by a need to derive more value from the brand portfolio. For TVS, the mass entry-level market has helped build volumes and market share. Now with the BMW partnership and its new bikes in the 200cc plus segment, the company wants to go where margins are better than the cut-throat entry-level segment. IMAGE: Another view of TVS Motor's Akula 310 at the Auto Expo 2016, New Delhi. Photograph: Rajesh Karkera/Rediff.com. The new launch has been a while coming. The Akula is running more than a year late -- it was first committed for launch in 2015-2016. Besides the bike will have more than half a dozen competitors in the 300-400cc engine range, all priced between Rs 1.44-Rs3.5 lakhs. It will compete against the Bajaj Dominar, Mahindra Mojo, KTM Duke 390, Yamaha R3 (yet to be launched), Benelli TNT 300, Benelli 302R, Kawasaki Ninja 300 and Royal Enfield Classic 350. 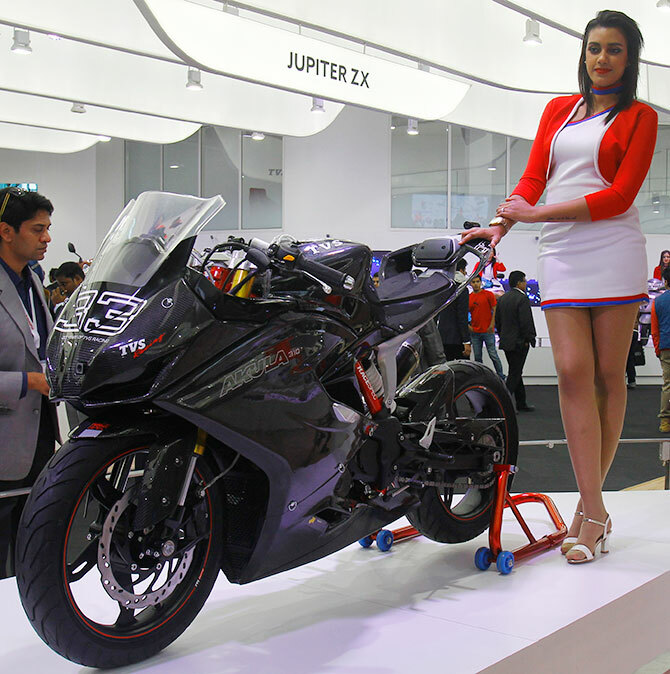 TVS has gained a stronger foothold on the commuter segment in the past couple of years giving it the confidence to line up a flurry of brand launches and expand the dealer network say analysts. It currently has 1,100 dealers and 3,100 sub-dealers. The company says it will introduce new vehicles apart from upgraded models across all categories in the second-half of FY18, to push margins up further. Gaurant Dadwal, research analyst at Nirmal Bang, says that TVS has aggressive new vehicle launch plans from the TVS-BMW platform. “Significant market share gains could be restricted as the competition is becoming intense in scooter as well as motorcycle segments. We don’t expect significant market share gains in domestic two-wheeler market for TVS in FY18,” says Dadwal. The company has strengthened its portfolio of brands over the past year, say some, and that bodes well for its future launches and margin expectations. Saksham Kaushal of Prabhudas Lilladher says that TVS was able to pass on the commodity cost increases unlike earlier. And that indicates greater faith in the brand within the company and among commuters. The company says its focus on the premium segment will not be at the cost of its mass market initiatives. It has been able to move up to second spot in this segment thanks to growing demand for its flagship Jupiter, TVS has a market share of 15.8 per cent compared to Hero MotoCorp’s 12.4 per cent (April-September 2017). A year ago (April-September 2016), Hero had 14.7 percent of the market and TVS was third with 13.1 percent. In the span of a year, TVS saw a 41 per cent jump in the scooter market shares. While this will continue to be the focus for the company, it now wants to extend its reach in the premium market too. 4 sports bikes launching now! TVS Apache RTR 200 4V: What's hot, what's not!